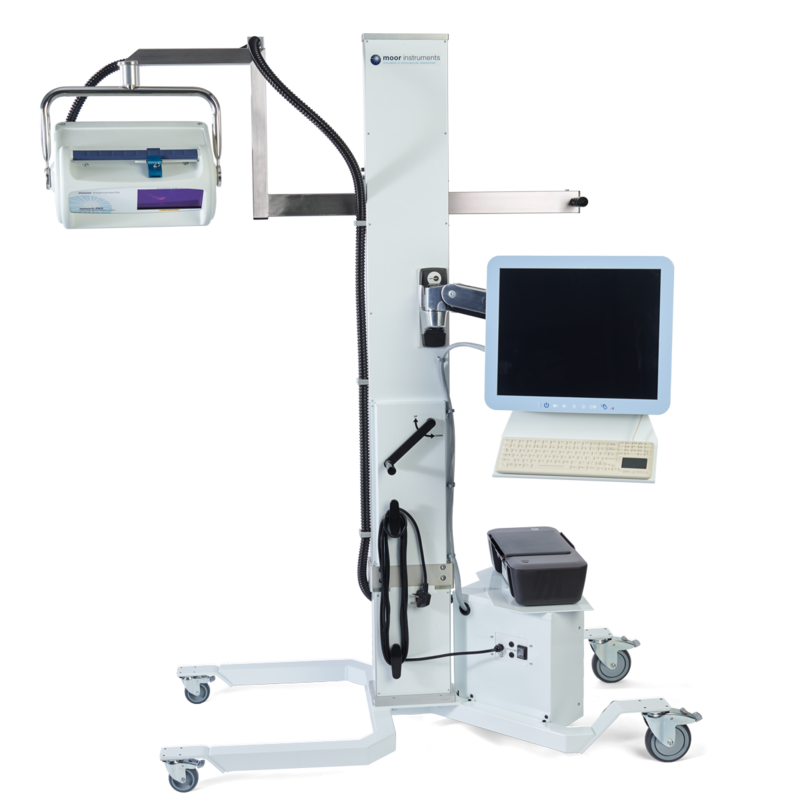 Mobile stand for clinical / theatre applications. 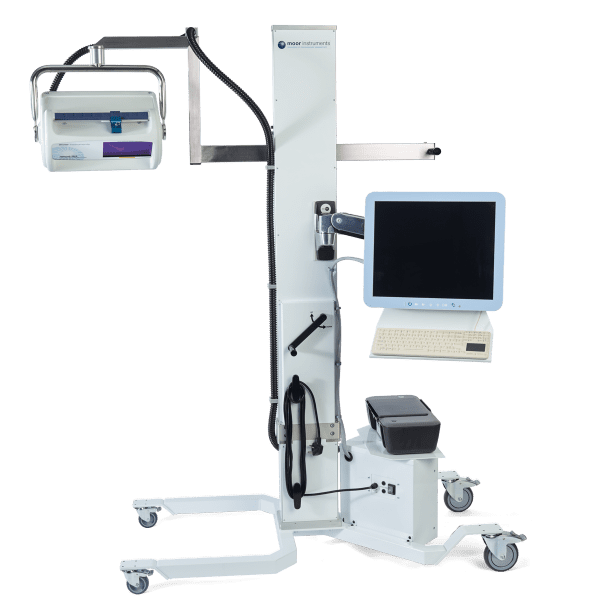 Enables flexible positioning of moorLDI2 scan head. Vertical adjustment provided by winding handle. Positioning provided towards and away from the vertical support pillar to enable ‚reaching‘ over a bed. Yoke style holder for scan head to allow positioning and rotation to any angle. Stand fully mobilised on anti-static wheels. Keyboard and printer platform provided. Rear container with built in power supply and isolation transformer.